Dr. Suraya A. Afiff (Department of Anthropology – Universitas Indonesia, Depok/Jakarta). 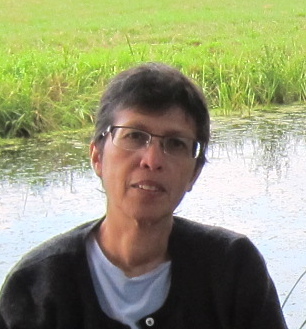 Suraya Afiff is researcher of the program “JARAK: the commoditization of an alternative biofuel crop in Indonesia” as part of the KNAW and NWO funded “Agriculture beyond Food” research program. Before obtained her PhD degree from University of California at Berkeley, she worked (1988-1994) at one of the first major national environmental groups in Indonesia, WALHI (the Indonesia Forum for the Environment/Friends of the Earth Indonesia). Since 2005 until now, she is teaching at the graduate program at the Department of Anthropology, Faculty of Social and Political Sciences at University of Indonesia. Since 2007, she also served as the head of the Center for Anthropological Studies at University of Indonesia. She is interested in the issues of the politics of the environment in Indonesia. Her recent research focuses on land tenure issues, land and natural resources conflicts, climate change, forest governance, environmental and agrarian movements, community-based management.